Enable Windows Desktop Icon Label Transparency. Windows Desktop Icon Label Transparency. back home » Knowledge Base » Windows Desktop Icon Label Transparency. Changing the windows desktop theme or background most usually result in a situation that, the desktop icons gets automatically inserted in colored background boxes. This happens very often, which makes user gets frustrated, trying to roll-back to their former pretty transparency. However, no matter how they'll try, it always seems impossible, so they'll be forced to use their desktop as ugly as is. Sad eh? In this tutorial you'll learn how to disable the ugly colored boxes behind Window desktop icon labels, escaping the sad situation easily. To re- enable or activate the desktop icon transparency for windows XP, you'll simply need to follow the steps below. 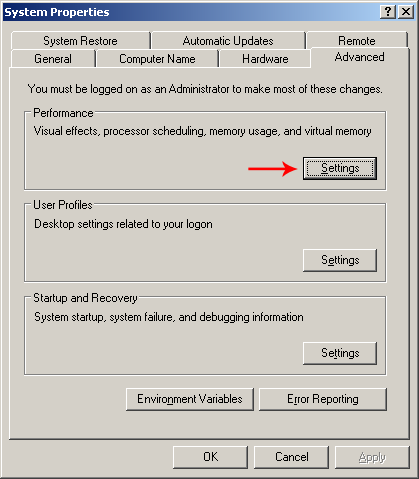 Open the Control Panel and double-click on the System icon to open the System Properties dialog box. Select the Advance tab on the System Properties dialog box, and click on the Settings button under the Performance Section to open the Performance Options dialog box. Select the Visual Effects tab on the Performance Options dialog box, choose the radio button that reads Custom, scroll down the list right below it, and activate the checkbox that reads Use drop shadows for icon labels on the desktop. Click the apply button to accept changes, and the OK buttons of both the Performance Options, and the System Properties dialog boxes to close them. Back to the Control Panel again, you'll double-click on the Display icon to open up the Display Properties, select the Desktop tab, and under the Background drop-down list you'll select the button that reads Customize Desktop to open the Desktop Items dialog box. 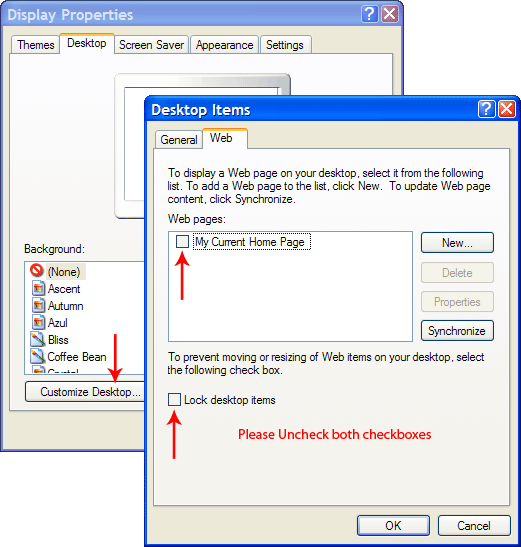 Select the Web tab on the Desktop Items dialog box, and make sure both checkboxes are unchecked. Click both of the OK buttons to close dialog boxes, to accept changes made. Your desktop icons should be displaying very neat without colored background boxes behind them.